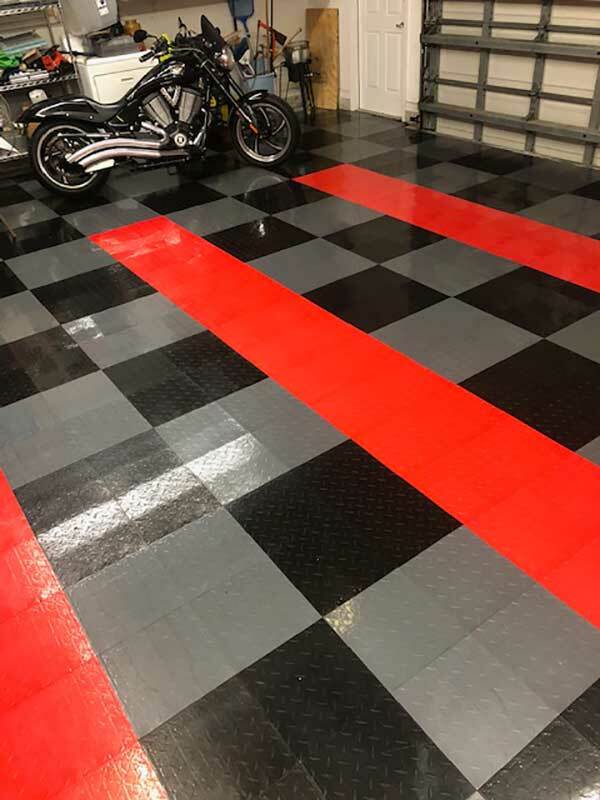 Description - Finally transform your garage from a huge honey do to the coolest showroom on the block with our Nitro Tile Kits. 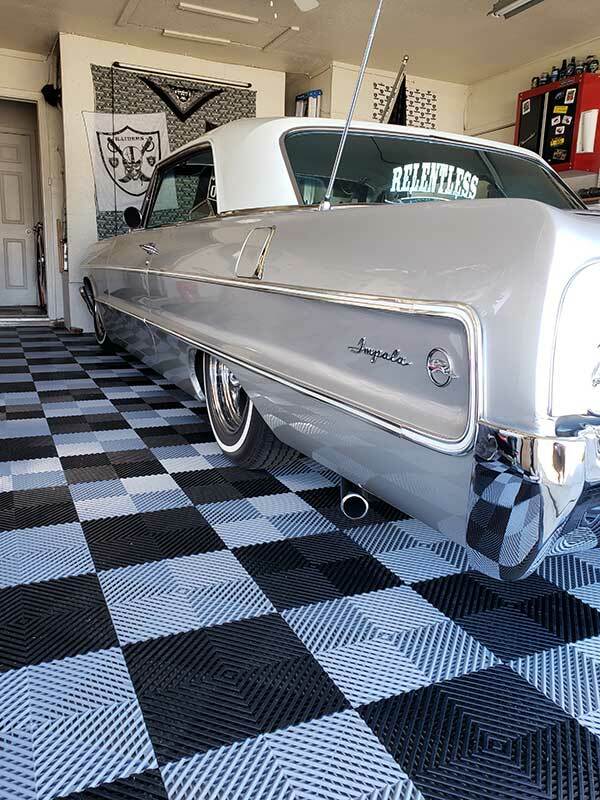 We have finally taken one of our most popular garage tiles and put it in easy to buy and install kits for 1, 2, and 3 car garages. These kits come in some of our most popular patterns and will provide you with enough tiles and edging for a typically sized garage. A 3-year warranty backs our Nitro Tile Kits. 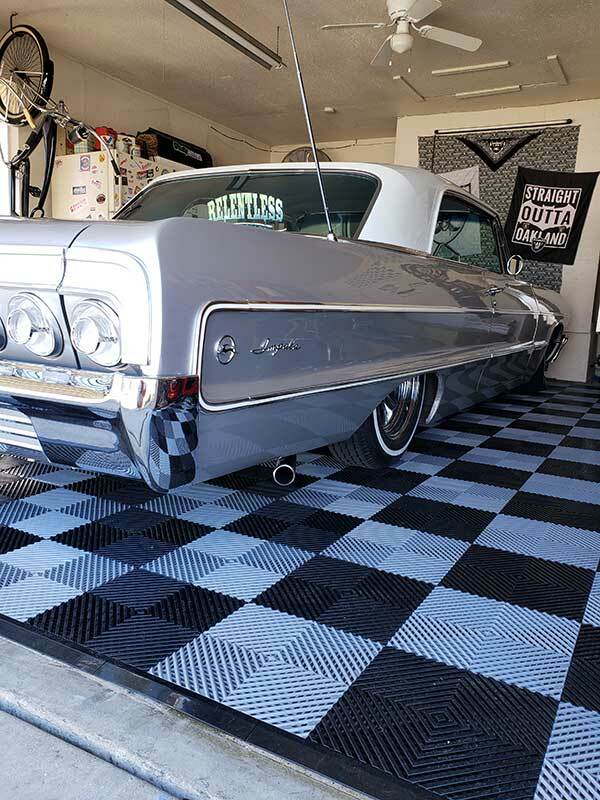 Size – Our 1-Car Garage Kit covers a 10' x 16' space, our 2-Car Garage Kit covers 20' x 24', and our 3-Car Garage Kit covers a 30' x 36' space. Weight – Our 1-Car Garage Kit weighs 250.40 Lbs, our 2-Car Garage Kit weighs 385.60 Lbs, and our 3-Car Garage Kit weighs 801.60 Lbs. Available in Diamond, Coin, and Vented patterns. Sizes available are as follows. 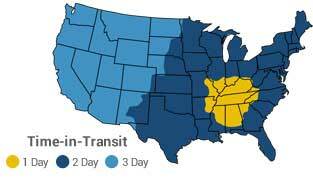 1 - Car Garage - 10' x 16', 2 - Car Garage - 20' x 24', 3 - Car Garage - 30' x 36'. Resistant to staining, mold, and mildew. Are your Nitro Tile Kits slip resistant? Our Nitro Tiles are very slip resistant. The patterns on these tiles help to make them slip resistant. Our most slip resistant patterns are ou Diamond and Vented patterns. What happens with an oddly shaped garage, or when you do not need a 3 car garage kit or different than what is provided in the kit. Ie. Just a few more boxes for odd areas and misshapen garages. Are there extra boxes of tiles available? If you are looking for flooring to cover an area that is outside the pre-set Nitro Tile Kits that we offer, you can order the number of tiles you need from our Nitro Tiles page. If I moved, how easy it is to uninstall it? Our Nitro Tile Kits are very easy to install and uninstall. How are the tiles secured? Glue? Interlocked, no glue? Other? Our Nitro Tile Kits are interlocking tiles. I am turning my garage into a dog playroom Would these tiles cushion the floors enough for dogs to play safely. Your dogs can play safely on our Nitro Tile Kits without them getting hurt. These tiles would be no different than any other hard surface flooring. To add more comfort underfoot for you and your furry friends, we do recommend installing our ShockPad under the tiles. This rubber underlay will not only add comfort underfoot but will also help to quiet the floor as you and your furry friends walk and play. Very durable, easy to install. Garage looks like a showroom! I did not order samples, I ordered the 2 car garage kit. I was very pleased with the look of the vented tiles, and it was very easy to install. I finished my garage in about 4 hours, because I had to make a few cuts around cabinets. Did my storage shop in nitro diamond tiles. Job done by myself and a helper. Easy install. Did the 40 x 16 room in under 4 hours. To be clear it went fast but also had few cuts to make. Love it great bang for the buck. Customer service was exceptional!